Thread length: 21mm per side. 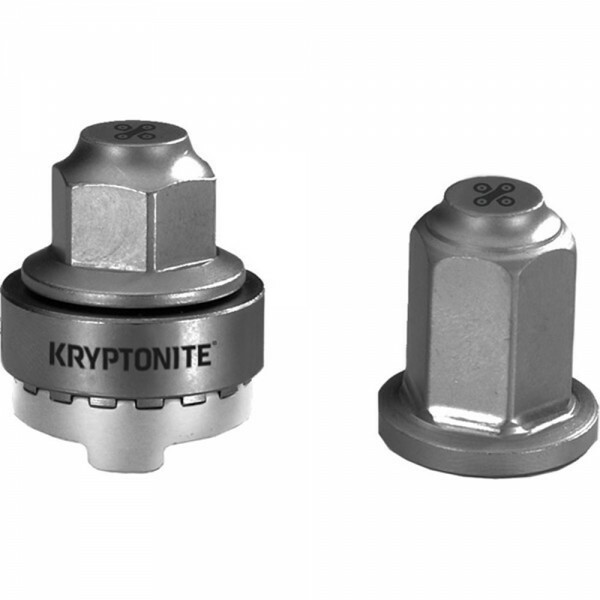 Kryptonite Security WheelNutz fit to the solid axle of your hub, and lock your wheel to your frame. Use the WheelNutz to secure your front wheel, while using an additional lock like the Messenger Mini to secure your rear wheel and frame to something secure. When WheelNutz are installed your bike must be turned upside down to remove the wheel - if your bike is secured to something your wheel can't be removed. Fitting - M9 axle, with a max axle thread length of 21 mm per side.